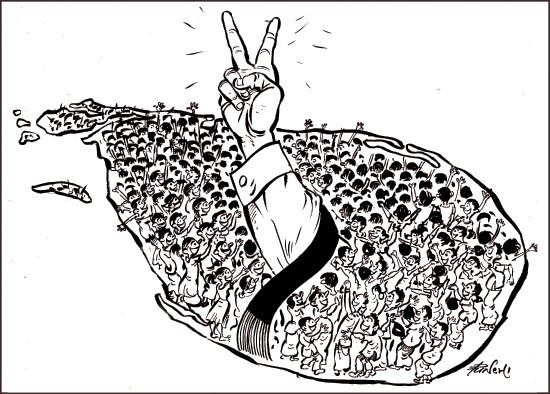 Sri Lanka’s 27-year conflict ended suddenly and comprehensively on May 18, 2009. The guns fell silent and the nation celebrated ecstatically. While defeating the LTTE was a mighty achievement, given their reputation for invincibility, effectively including all Sri Lankans in the reconstruction and reconciliation processes poses a significant challenge. MP Namal Rajapaksa, who spearheaded the election campaign in the Hambantota district and successfully dislodged the final stronghold of the JVP - the Tissamaharama Pradeshiya Sabha - spoke to the Sunday Observer about the UPFA’s landslide victory at the Local Government polls on March 17.